Most deliveries go relatively smoothly. However, complications do happen, and it is important for an obstetrician to be aware of a pregnant mother's medical history and potential emergencies that could arise during delivery. A doctor's inattention, failure to provide appropriate prenatal care, or failure to provide the appropriate care during labor and delivery can result in serious birth injuries. 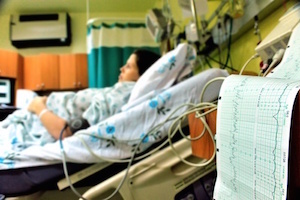 At Moll Law Group, our birth injury attorneys have a strong understanding of what doctors and nurses should know and do during a pregnant mother's labor and delivery to avoid causing harm to the mother and child. Our Chicago labor negligence lawyers consult with excellent experts before and during litigation. Delivery and labor complications can include the improper use of medical devices, a failure to perform a necessary Cesarean section, or an inappropriate evaluation of a baby's health and breathing while being delivered. It is not always immediately apparent whether a baby is suffering from a birth injury or a birth defect. In some cases, a baby born with cerebral palsy suffers from the condition because a doctor failed to allow for enough oxygen during labor. Most medical malpractice lawyers must consult an experienced doctor or nurse to evaluate whether a lawsuit is appropriate, and also to obtain the necessary certificate of merit to bring this type of claim in Illinois. A certificate of merit is an affidavit from an expert who works in the same field as the defendant. This expert will need to certify that the claim is meritorious and that the defendant failed to abide by the applicable standard of care. In a birth injury case, the expert is often a board-certified Ob-gyn. In order to prove a birth injury case, a labor negligence attorney at our Chicago firm will need to show that the health care provider's conduct fell below the appropriate standard of care. This standard is established by showing the level of care that is commonly used by practitioners recognized in the defendant’s profession as being competent, and the standard may vary based on geography and the specific patient’s history. For instance, a teenage mother may be treated using a different standard of care than a mother of advanced maternal age with gestational diabetes and a history of other health problems. You must prove that your doctor breached the standard of care, thereby causing your baby to suffer a birth injury, in order to recover compensation. Usually, expert witnesses will need to testify on your behalf. As a parent and guardian, in addition to obtaining compensation to treat your baby's birth injuries, you may also be able to recover compensation for your own emotional distress in connection with the injuries and improper procedures during delivery and labor. If you suffered delivery and labor complications that resulted in harm to your child or you, the Chicago labor negligence attorneys at Moll Law Group are available to help you pursue economic and noneconomic compensation. We assist injured individuals and families in Schaumburg, Naperville, Wheaton, and communities throughout Cook County. Billions of dollars have been recovered in cases in which we have been involved. Call us at 312-462-1700 or complete our online form to schedule a free consultation with a medical malpractice attorney.